Are books the queen of content marketing? And we only think of throwing them away because the thing has been lying around in full view for two years already. Two years. Think of the ROI. So why don’t we use books more intelligently as marketers? Why don’t we make better books that people will love? Philippe Carly, a friend of mine just crowd-funded a book of photos. He raised EUR29,000, well over his target. That’s commitment. People really, really wanted that book. So let’s brainstorm a little. If you are in the hotel or hospitality business, how would a book of recipes work? Think: starters, cocktails or themed cooking (local/vegetarian/gluten-free). A book around the magic of chilies? In a consultancy or lobby organization: how about a book on negotiation skills, conflict resolution or strategic thinking? Could this be of use to your clients or prospects? High-tech? How about a collection of the most amazing things created using your technology? Furniture/design stores could easily release retrospectives of specific designers or styles. You could try and time this with a major retrospective or anniversary for maximum impact. Why would you do this? Because of the incredible “stickiness” of a good book. 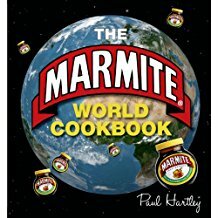 I’ve been using a Marmite recipe book for three years already – and I even paid for it. And when you don’t like the book, you give it to someone else or sell it. So if you do things well, a book can stay in circulation for a long, long time. 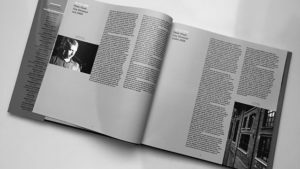 By now you are thinking, how do I find material for a book? In many cases, you can look inside your company for raw material. Your HR people have training material that can be re-purposed. Drinks and food manufacturers can partner with their Horeca clients (“Famous Chef’s 12 Favourites for Cooking at Home” – the same idea works for cocktails or breakfasts). And how much does it cost? Given that we live in a world of on-demand printing, Kindle and traditional print, getting started on the book-as-marketing idea is really easy. But don’t forget to include it in your marketing and find innovative ways to distribute it. How about getting a brainstorm session going? Call me on +322/644 02 30. Bookmark this article Ever try to throw a book away? Great insights, as usual from a Master Communicator and Marketer! Let’s get sticky!